The Basketball Spotlight Clash For the Cup 6th Grade Division was loaded with top players from the region. Here’s Part 1 of the top performers from Neptune, NJ. 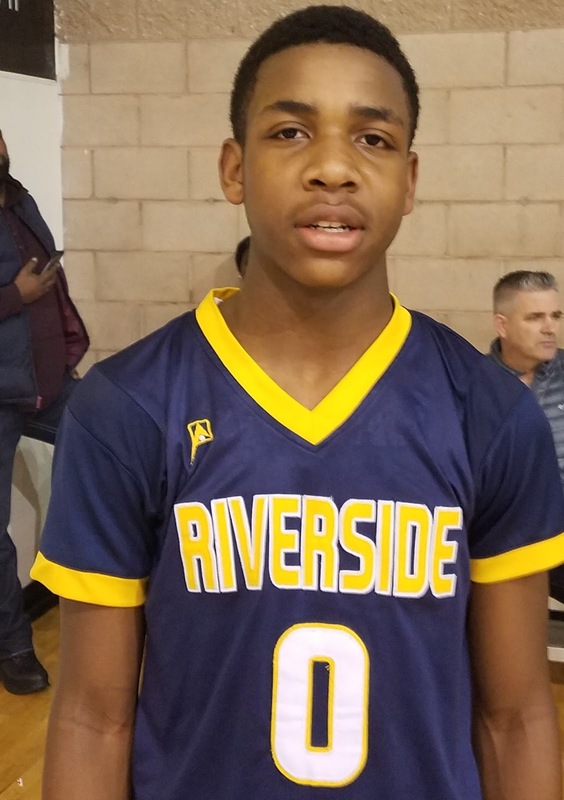 Christian Bliss Guard (Riverside Hawks) – Christian is a high IQ point guard with a great feel for the game. This nice size point guard has all the skill and intangibles you want in a floor general plus he knows how to win. He always seemed to make a big play when he team needed it whether it was a big three pointer, a big rebound, or a big steal. 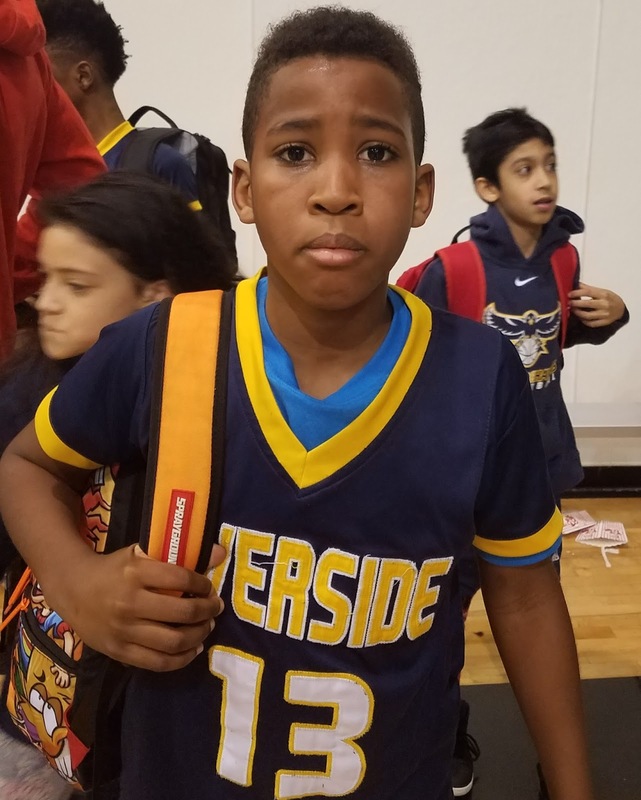 At the 6th grade level I am not sure you will find an overall better PG. He is tough as nails and is a supreme leader for his squad. Bliss is a great communicator with his teammates on both ends of the floor and is an extension of the coach. He finished with 8 points in the championship and 15 points in the semifinal. 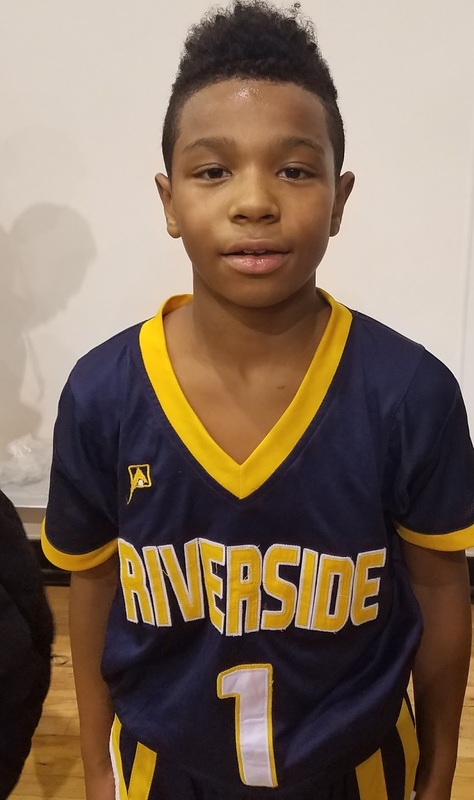 Caleb Crawford Guard (Riverside Hawks) – Caleb plays the wing guard position on his team and he knows how to get buckets. He scored 24 points in the championship and the semifinal. Crawford is a quick guard with nice handles that we see transitioning to the point as he gets older. He plays with a nice pace and he always has his defenders on their heels as he can score from all three levels. He is a blur in transition and can finish with either hand plus he has a quick trigger from three as we saw him knock down a good amount of them. 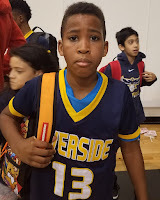 Nico Andrews Forward (Riverside Hawks) – Nico is a strong athletic forward that patrols the paint for his squad. He also has some guard skills as we saw him handle the ball some in the open floor. He can rebound in and outside of his area and finishes good around the rim. He draws a lot of fouls and can knock down his free throws. Andrews tallied 12 points in the championship win. Jomani Wright Guard (Riverside Hawks) – This pint size guard affected the game on both ends of the floor. Jomani locked up on defense and was always in attack mode on offense. When he attacked the paint we saw him score or drop off nifty dimes to his teammates. He also has range out to the 3 point line. Wright averaged close to double figures on the weekend. 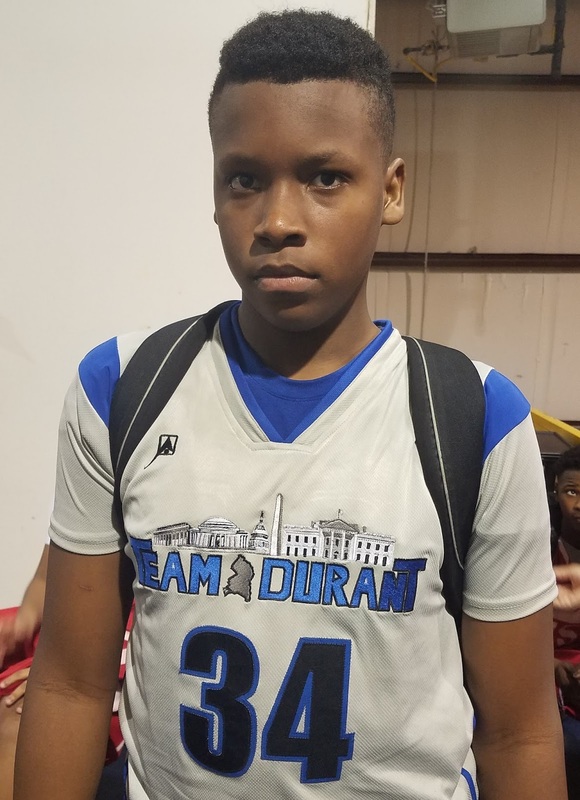 Amani Hansberry Forward (Team Durant) – Amani is a huge big man for the 6th grade level. 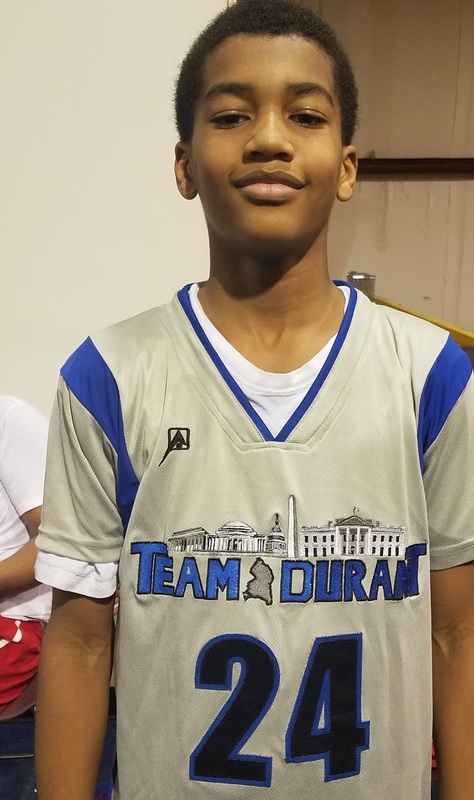 He understands how to establish low block position and once he does he is unstoppable as we saw all weekend him scoring when he got the ball in the post. He has good footwork and hands, a soft touch and he keeps the ball high so smaller guards can’t come in and tie him up on the double team. He is also a high level rebounder. With room to grow Hansberry should be one prospect to track through his middle school and high school years. He averaged 16 points a game in the games we watched. 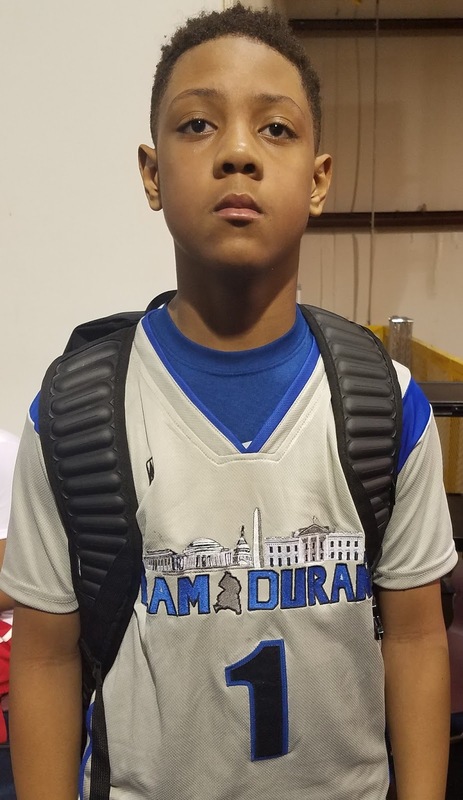 Ace Valentine Guard (Team Durant) – Ace is a heady point guard that is a high level passer and scorer. He plays to his strengths and plays the game the right way. 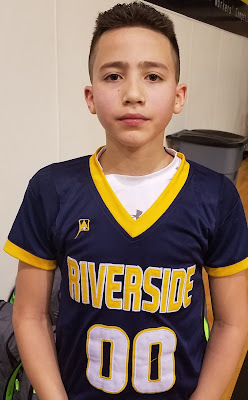 Valentine makes good decisions running the point and we saw him make some highlight reel passes and some clutch timely buckets throughout the weekend. He has the ability to play off the ball also and be a team’s primary scorer as he can score from all three levels. He averaged 15 points a game in the games we watched. Xavier Pickett Guard (Team Durant) – Every team needs a go hard player that can play and guard multiple positions and Pickett is that guy for Team Durant. He can handle the ball, pass, rebound, and defend at a high level. He is at his best attacking the basket either in the half court or in transition. Right now he is a utility perimeter player that makes winning plays. 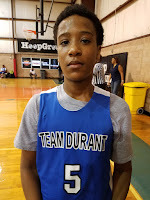 Del Jones Guard (Team Durant) – Del is a primary ball handler for Team Durant. He gets his team into the proper positions to run the offense. He is crafty with his dribble and can get to his scoring spots on the floor. He is more a pass first guard but can hit the open jump shot out to the 3 point line. Jones is also a good on the ball defender pressuring opposing ball handlers.